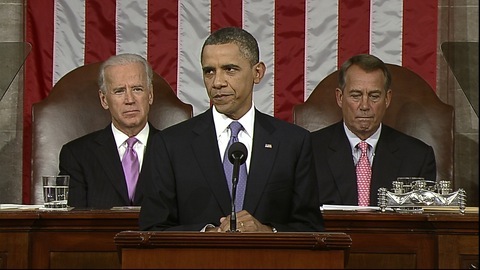 President Obama addresses a joint session of Congress Thursday to preview his jobs plan. A day after President Obama’s big jobs speech, we checked back in with a group of unemployed Chicago-area workers to get their reaction to his proposal. The $447 billion “American Jobs Act” includes an expansion and extension of payroll tax cuts, infrastructure spending, aid to states to retain teachers and first responders, and an extension of unemployment insurance, among other provisions. Watch Linda’s pre-speech interview here. Coming from construction, I still want to know more about what they are doing to make sure projects are shovel-ready, and getting obstacles out of the way for these projects. A shovel-ready project means there isn’t another two years of engineering surveys that need to be done, that there aren’t 22 more meetings that need to happen with township committees – in short, that the project is ready to start. I think shovel-ready projects will be a future part of Obama’s plan. I liked everything he was saying, if in fact they are all executable in a short time frame. I’ve been unemployed and employed and again unemployed for the last four years. I’ve gone through my life savings, my home equity loan, and now I’m going through my 401 (k), just to cover daily life expenses. I’m job searching 60 hours a week. But I did not hear anything in the speech that would help me specifically. Businesses don’t know what health care will cost, whether they’ll get tax breaks or not. All of these things are unstable so how does a business make a decision to hire and expand? I’m hoping there’s going to be an upswing with the momentum President Obama is trying to create but businesses are still in the unknown zone. So, jobs may be contract work rather than [permanent] because people don’t want to put someone on the books, knowing they may have to lay that person off in three, six, nine months. Watch Julian’s pre-speech interview here. The speech hit a number of important points – recognizing the importance of infrastructure, helping small businesses and working families. In general, I’m very strongly for what has been offered. I was particularly interested in the middle of his speech when he talked about infrastructure. Being in the field of logistics and transportation, I realize how important it is to get things moved and the value of manufacturing since that is my field. Infrastructure should be looked at as an investment rather than a cost. These investments will help our country be competitive both internally and on exports. It’s really important that that process continue. When the government has contributed to infrastructure it has allowed this country to be great. I would have liked him to speak more about encouraging states to work together to bring manufacturing into their economies. Right now states all compete with each other for bragging rights to get those jobs. That is not good because companies pick the state that has the best tax breaks rather than focusing on a broader program to enhance manufacturing over a number of years in the states. It would be better if Indiana, Illinois, Wisconsin, and Michigan all worked together rather than competing with each other. It would be less costly and more effective. I would have liked to hear him talk about ways to encourage states to work together to bring manufacturing to their areas. I don’t think [the president’s plan] is enough. He had to scale back his ambitions. In terms of what can be realistically expected, if we accomplish what he proposed, most people will be amazed. Even what he is proposing at least focuses on the need to improve the number of people who have jobs. That is our number one issue. It is absolutely essential. It must be the number one priority of the government. Watch Laura’s pre-speech interview here. He did lay out the themes of what he wants to do like the big boost in construction, teachers going back to work, extending unemployment insurance, extending a tax credit to the middle class. I still think even though he’s laid out certain things, what I want to know is, where are the incentives? Where is the legislation to bring jobs back to the U.S.? Many companies have outsourced to other countries because they’ve found it cheaper in labor costs to do so. So you can talk about extending the taxes to big corporations, but what are you doing to do to keep the jobs in the U.S. and bring the jobs back that have already left? He talked about companies having tuition incentives to reeducate their workers, but what if someone wants to improve at a higher level than community college? Tuition limits are not covering that expense. I was a doctoral student through my previous company I was let go from. It was part of my benefit. Once I exceeded the $5250 [tuition credit], I was taxed at a higher income. That was really making it very tight for my paycheck! There’s an issue there. Many companies have a limit on their tuition benefit. There needs to be an incentive given to companies to increase that amount. From what I’m hearing, many companies do have the money to hire people, but they’re not hiring because times are so uncertain. He talked about reforms, and that’s a good thing, but what are some examples and specifics? What’s going to help me? And he did not say how he would pay for it. Apparently some things are going to be cut internally but he didn’t come out and say what those were. He talked about putting money back into construction but that was also part of his campaign speech so I don’t know why it’s taken this long to get back to that point. He talked about getting teachers back to work, but there’s a tremendous crisis here in the Chicago public school system. There’s a downside to everything. I think tax credits for hiring vets are great but I’m also aware that there already are agencies that work with vets to help them come back into society after what they’ve been through. I think many of the problems go much deeper. He’s great with rhetoric and I’m glad he’s cutting the taxes for the middle class but seeing this country rebuild is going to take time. This plan, if it gets put into action, will not happen overnight and a lot of this should have been done two years ago. Watch Peter’s pre-speech interview here. His speech had energy, and addressed the number one issue on the minds of all Americans, not just the unemployed. But was it a speech with substance? I still have a sour taste in my mouth from the debt ceiling debacle, because it demonstrated that the focal point of our leaders in Washington is the 2012 election, not the problems facing the country. It was amplified when they returned. How can we have confidence, when the President of the United States, wishes to address the country on one of the most formidable problems we face, and he is playing third fiddle to a meaningless Republican debate and the opening of the NFL season? I was looking for a package which contained $500 billion in infrastructure spending, which is one-quarter of the estimate to address the current needs of our country. His total package was $450 billion, with $100 billion for construction; not exactly what I wanted to hear. As a nation, we do not have a clear vision for our infrastructure. I did not expect to hear one, but at least he addressed our transportation needs. That’s a start. Whether Mr. Obama and Congress can put together a package anywhere near the level outlined is questionable. His announcement that he will be on the road to sell his ideas is mandatory for his success as a leader. Time will tell whether his speech has substance, or just fog. Watch Leonard’s pre-speech interview here. I read into the plan and they talked about helping people with refinancing their mortgage. I’ve been out of work and I need to refinance and banks say when you are working, call us. It would save me thousands of dollars to refinance…it would help if this plan helps people who are out of work to refinance. I like the idea of helping veterans get back to work but I’m not a vet. It doesn’t directly affect me. I also like the fact that he’s planning on doing something for teachers because we need that for our future, but again that’s not enough to help somebody like me. The president’s plan was a good start, but it doesn’t go far enough. We need real, good paying jobs. Putting teachers and firefighters back to work is a good start but you need a youth jobs program. I could be a manager if there was a program like that. Or if you have a green corps program – I could be a manager. It’s not just for me personally. I think those kinds of training programs are what it’s gonna take to jumpstart the economy. If you look at my situation, I have a mortgage, a condo fee, no health insurance. Nothing was said on either side of the aisle that addressed my immediate needs other than [extending unemployment insurance]. Since I’ve been unemployed for 2 Â½ years it would have to be extended beyond 99 weeks… It would have to truly be an extension. I understand the other folks need it too. I get it. The only thing in there that was specific that might help me was a tax credit for employers to hire the long-term unemployed but I work in the public sector so tax credits don’t help. Tax credits are for the private sector, the for-profit world. I work in the public sector. Somebody asked me doesn’t this raise the deficit? I said no. If you put me to work, I’m paying sales tax, I’m paying into Social Security. All of that money from the millions of us that are out of work would go back into the economy. In the meantime, it’s whatever little benefits I can get. It’s a different world. I’m using my 401 (k) to live on. Basically I’m using my retirement now which means that when and if I land, I will be working longer, and unless I land a really good job I’ll be living on the edge for the rest of my life. What do you think of the proposal? Let us know in the comments section below. With additional reporting by Diane Lincoln Estes and Elizabeth Shell.